Why should you choose stem cell therapy for your hips? Using stem cell therapy for hips is innovative, safe, and effective. Because of this, it offers you the possibility of an improved quality of life without invasive, painful surgeries or hip replacements and their associated risks. Stem cell therapy provides a safe outpatient procedure with minimal discomfort or recovery restrictions. Want a chance to get back to living the life you love without having to risk your health to get there? That's what we're here to provide, and stem cell therapy is what we do best! Stem cell therapy for hips has the potential to reduce inflammation, then repair and regenerate the cartilage around the hip joints. Because of this, it may alleviate the pain associated with hip arthritis. Stem cell therapy provides hope for a better quality of life. Stem cells are the body’s natural healing instruments. 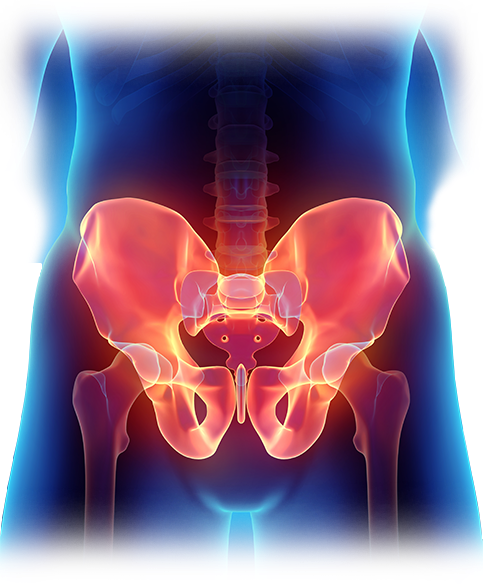 By utilizing stem cell therapy, patients are often able to avoid hip replacement or surgery. Stem cells are injected into injured or damaged areas, then naturally activate to repair and restore your body. Hip replacement and hip surgery can be both risky and traumatizing, while hip stem cell therapy is safer and far easier on the body. Stem cell therapy may provide an optimistic solution for people suffering from common hip conditions and pain. Stem cells have the potential to alleviate debilitating pain and even repair damage caused by conditions such as bursitis or osteonecrosis. By unlocking the power of your own stem cells, you can find hope for the repair and restoration of your hips. Your stem cells may be able to give you the relief you've been searching for! We extract stem cells from fatty areas, then harvest, isolate and activate them. Stem cells are the body’s natural building blocks designed to generate, maintain and repair tissue. We increase the concentration of stem cells when we isolate them, which provides an opportunity for greater effectiveness in the treated areas of the hip. Your recovery time is minimal to none, which is vastly preferable to invasive hip surgeries or replacements. After harvesting, your own stem cells are reintroduced into the body through targeted injections. First, we use ultrasound guidance to locate the areas most affected by injury, degeneration and inflammation. Next, we inject your stem cells into the most effective areas for treatment. After injection, the stem cells naturally repair and regenerate your body. Using stem cell therapy for your hips provides you with hope for relief and restoration.